Cochise County - the quaint historical mining town of Bisbee. 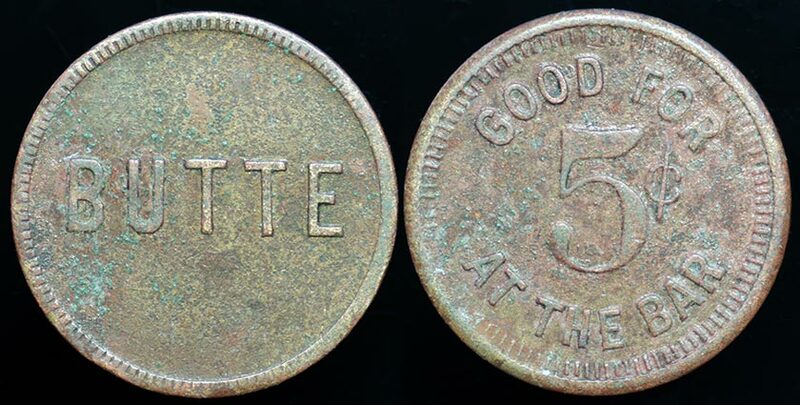 OB: "BUTTE" (Saloon); Rx: "GOOD FOR 5c AT THE BAR". Birt R3. An Arizona Territory token until the saloon closing in 1914. 21 mm. brass.